Summer is here, which means that it is time to dress down and enjoy the warm weather. Yet, we need to protect ourselves from the sun’s rays. After all, too much exposure to the sun leads to a cumulative lifetime exposure, which may in time cause serious skin damage, especially in light skinned individuals. When it comes to the damaging rays of the sun, experts recommend covering up when possible, timing activities outside of peak hours and using adequate sunscreen at all times. This is the most effective way to practice sun safety for women with alopecia throughout the year. It is probably obvious that the sun is more likely to damage skin at the hottest point of the day. The Sun Safety Alliance reports that between the hours of 10 a.m. and 4 p.m., when the sun is highest in the sky, ultraviolet rays burn strongest. And, it should be plain that the likelihood of burns and UV damage is higher in the summer months. But don't forget that location matters as well. Those who live in areas of high altitude, as well as those who live closer to the equator, will experience greater UV exposure. Remember, UV penetrates through clouds year-round, too. We say "sun sun sun," but cloudy days don't give us a day off from sunscreen. To minimize the effects of UV rays, schedule outings for the early morning or evening. As it turns out, the simplest way to prevent UV exposure is to expose less skin. Dr. Joshua Zeichner, contributing dermatologist to the BGDL newsletter, previously gave us practical advice for skin protection and color matching to the face. Staying out of the sun, and covering up while in the sun, are the best defenses because over-reliance on sunscreen alone could be a false sense of security. That said, sunscreens today should be part of your daily sun-protection plan year-round: Wash face, brush teeth, apply sunscreen to face, neck and other exposed areas. This daily habit helps minimize the color difference between your face and scalp. With so many affordable skin products today, being protected is easier than ever. “The FDA does require sunscreen manufacturers to meet certain standards for the use of three terms on labels: SPF, broad spectrum, and water-resistant. SPF refers to a sunscreen’s ability to shield you from ultraviolet B (UVB) rays, which can cause sunburn and skin cancer. Sunscreens that protect against both UVB rays and the more deeply penetrating UVA rays – which can cause skin aging and contribute to skin cancer, including melanoma, the most deadly type – are called broad spectrum." The American Academy of Dermatology recommends using sunscreen of at least Sun Protection Factor (SPF) of 30. The SPF rating demonstrates how long the sunscreen provides protection. The sunscreen should provide broad-spectrum (UVA and UVB) coverage, and be water-resistant. Then it must be applied regularly. Two tablespoons of sunscreen should be enough to cover the exposed parts of the body. Sweat and water make sunscreen wear off, so putting on a new layer every two hours is ideal for the best protection. 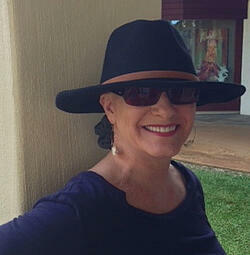 We have hat fashion ideas, too, because sun safety for women with alopecia requires being safe and looking great! With a hat habit instead of a wig in warm weather, you’ll save the wear and tear on your wigs and feel much more comfortable. And hopefully do more social activities instead of sitting on the sidelines. The broader the brim of the hat, the more the coverage. That often means the hat depth is larger, too. Here’s a tip for a good fit: If the hat is loose, wrap your head first with a natural fiber scarf (and don’t forget fabrics with beads or fringes add extra panache). Still too large? Add strips of sticky-back, foam weather stripping beneath the interior hat band for a perfect fit. Some people claim they look awful in hats. In reality, they haven’t found the right hat shape for their face and body proportions. Always be on the look out for hats and ready to try them on. Who knows, you just might have a self-consciousness breakthrough when you find a hat display. You’re on the hunt for a great hat so you have to try them on. Go for it and watch the compliments fly! And here are a few additional tips for finding a flattering hat (from our Fall 2011 newsletter). By scheduling activities in the cooler parts of the day, wearing appropriate but comfortable clothing and using the right sunscreen correctly, the sun is no longer the hazard it used to be for women with alopecia!